Keegan and I spent Valentine’s Day Weekend at Roxborough State Park, taking in the scenery. Southwest of Denver, this park offers bird-watching, deer-mingling and expansive, open views of the mountains with large, red sandstone formations, not unlike Garden of the Gods with much fewer visitors. The dramatic landscape tucked away in Littleton, Colorado is truly a hidden gem. We were happily surprised by the quiet atmosphere, despite how closely this park rests near the suburbs. This chance to use my Granny’s binoculars wasn’t lost on me. We paused several times so I could practice spotting birds in trees to no avail. I heard a few at times, but the birds eluded me, a novice to the birding world and a newcomer to the park. I did, however, manage to spot deer far away, and we found them 20 minutes later chilling near the paved trail. I’m hopeful once I take a few birding classes in March and April, spotting our feathered friends in the future may not be as difficult or challenging. 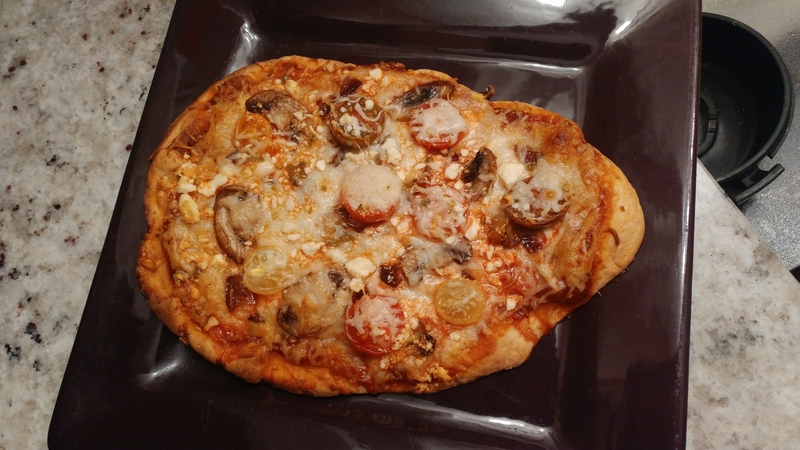 That evening, Keegan and I returned home to make Naan bread pizzas; they exceeded our expectations. I forgot how much fun it is to make meals like this together. I feel like our homemade pizzas trumped going out this year. Plus, Brittany and Justin gifted me adult ice cream for my birthday, and I finally indulged in my Bootleg Creamery Piña Moo’lada, which may very well be my new home favorite, even more so than Ben and Jerry’s. Between my flowers, Reeses’ Cups, dinner and hiking in Roxborough, the entire week was awesome. Not to mention, Keegan and I hung out with Brittany and Justin before we grabbed coffee at Muse and walked Buddy around Loveland Lake last Sunday. On the one hand, we’ve had a few bouts of snow recently. On the other, Keegan and I have been fortunate enough to get outside when the weather permits. We’ve had a nice mix of weather in February, from temperatures in the high 60’s all the way down to a real feel of -16 degrees. Glad to work from home last Tuesday!! 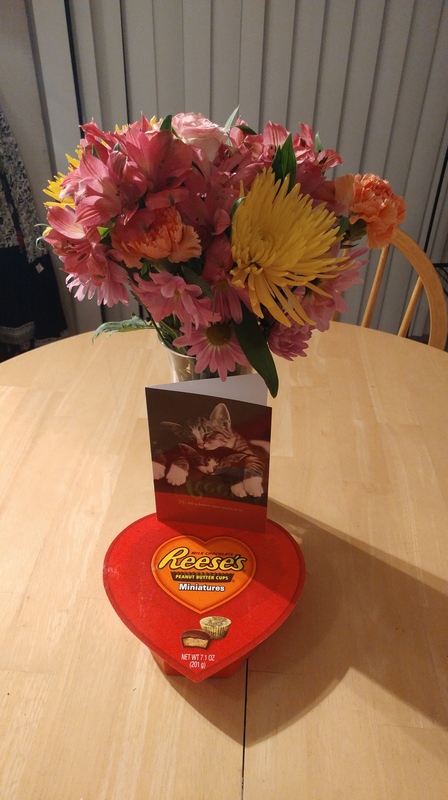 And last but not least, what made last week so special besides Valentine’s Day and hiking was my surprise care package from Tika. She filled it was a coffee mug, a copper pineapple cup, a coin purse from Puerto Rico, a face mask, two lotions and a funny card. If that’s not love, I don’t know what is. Thanks Tika! So far, I’m digging my vanilla macaroon lotion and am eager to use my face mask tonight, to replenish and renew my spirits before the start of a new week. That’s about it for now. In the meantime, here’s this: A video of a kitten wiggling it’s ears while bottle-feeding that my friend Kooch shared with me three years ago today.